an anti-semitic poster published by the yugoslav nazi party in belgrade, serbia. c. 1941- 1942 . “here is the culprit”. 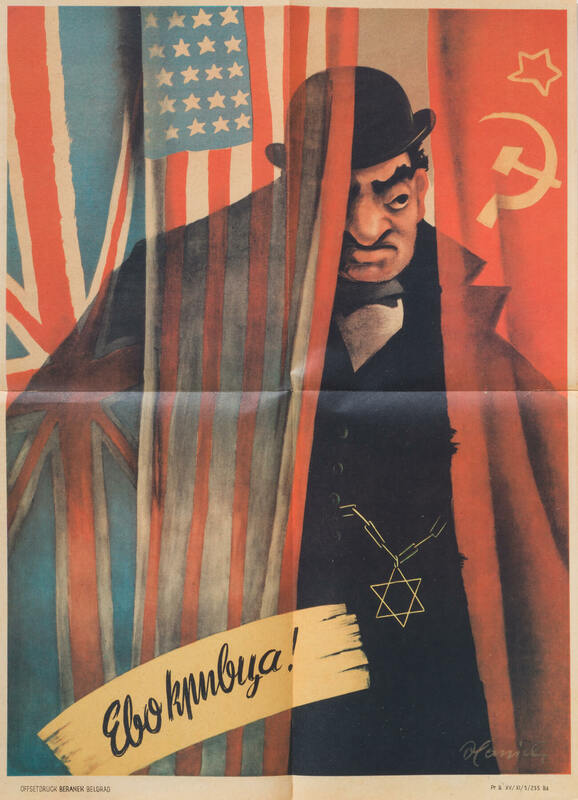 showing the jew behind the flags of the russia and the united states. 23” x 16”.folds.